Charles Schwab is famous for providing corporate retirement plans to millions of investors and for bringing low-cost trading to the masses via its Schwab brokerage platform. Schwab Intelligent Portfolios continues the firm’s trend of innovation by offering a robo-advisory service to compete with the likes of Betterment and Wealthfront in managing portfolios without human involvement. The most compelling aspect of the Schwab Intelligent Portfolios service is that no account management fees are charged to investors. With over $12 billion in assets under management, Schwab Intelligent Portfolios leads the robo-advisory industry. It also offers perhaps the most extensive range of asset classes of any robo-advisory firm, resulting in more diversified portfolios than other robo-advisors are capable of offering. Schwab Intelligent Portfolios offers its robo-advisory portfolio management service with no advisory fees and no commissions costs. Schwab also offers the most extensive range of asset classes and a broad range of account types to serve beginner, hands-off, and retirement-focused investors. Schwab Intelligent Portfolios serves the fee-conscious investor who is looking for a hands-off investing experience and is seeking a diversified portfolio that leans towards a more conservative composition. Compared to leading robo-advisors, Betterment and Wealthfront, Schwab offers the most extensive asset class mix: over 50 exchange-traded funds across approximately 20 asset classes. This allows for a more diversified portfolio than is available at any of the other robo-advisory firms. Theoretically, this should result in lower volatility during turbulent markets, a feature risk-averse investors will appreciate. Investors who are looking for a managed portfolio without incurring the higher fees associated with traditional, human advisors will be pleased with Schwab’s zero management fee policy. Commissions charges and account services fees are also a thing of the past at Schwab Intelligent Portfolios. Schwab Intelligent Portfolios has rapidly amasses billions in assets under management which is no small part due to its compelling ‘no account management fees’ offering. Investors comparing advisors often focus solely on management fees but it’s also important to examine additional fees charged, such as the investment expenses charged by the funds within the portfolio. Investors should be aware that Schwab’s no account management fees policy doesn’t mean no fees; customers do incur the cost of the investment expenses, which is normal not just at Schwab but most every other robo-advisory and traditional advisory firm too. 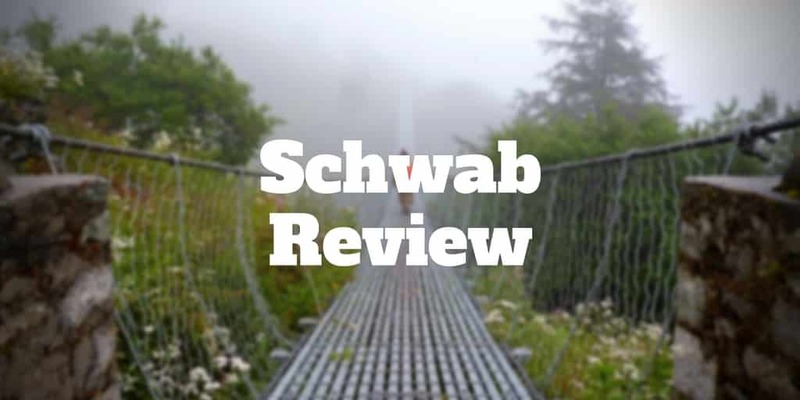 Schwab is able to offer its service with no advisory fees because it makes money from the exchange-traded funds, both third-party and its own, that make up the portfolios. These fees range from 0.08% – 0.24% for conservative and aggressive portfolios respectively; fees for a moderate portfolio are 0.19%. Schwab also makes money by lending out to borrowers the cash deposits in portfolios and makes the difference between the spread it earns on interest from borrowers and pays to investors. Schwab portfolios have much higher cash percentages than competitors, which creates a long-term risk of underperformance but on the flip side, portfolio volatility is likely to be lower than that of competitors during turbulent times. Schwab Intelligent Portfolios are among the most diversified in the robo-advisory industry because of its very extensive selection of exchange-traded funds across asset classes. When it comes to portfolio composition, Schwab Intelligent Portfolios leans towards a conservative mix with high cash amounts relative to its rivals. On average, portfolios have 8-10% of assets allocated to cash but the range can be as low as 6% and as high as 29%. The high level of cash creates a risk of underperformance over time, known as a cash drag; as financial markets appreciate in value, the cash earns a lower relative return which drags down overall performance. On the flip side, the cash cushion acts to lower portfolio volatility during periods when markets fall compared to what fully invested portfolios might experience. Most robo-advisory firms allocate almost all assets to investment vehicles with cash levels typically not higher than 2% of the overall portfolio value. Where Schwab stands apart from its rivals is the extensive range of asset classes it offers, approximately 20 are offered including over 50 exchange-traded funds (about twice what many rivals offer). Compared to competitors, this comprehensive selection allows for a more diversified portfolio of funds, which typically comprise Schwab’s own funds where it makes the most money. Schwab is rare among robo-advisory in the flexibility it offers clients to adjust asset allocation; it’s highly restrictive. Once the initial questionnaire to uncover risk and goal preferences is completed, asset allocation cannot be changed without re-taking the questionnaire. Investors who are hands-off, conservative or tend to make emotional investing decisions will find this acts as a barrier to making rash decisions on a whim when markets are more volatile. Some robo-advisors, such as Personal Capital, offer extensive personal finance tools, similar to Mint.com, that are accessible via a mobile app linking bank, investment and credit card accounts to provide a holistic financial view but Schwab Intelligent Portfolios is more restricted in the scope of tools offered, which primarily focus on retirement goal-setting. When it comes to tools and research, Schwab has taken a different approach to most of its competitors by creating a dedicated website, Intelligent Portfolios, which is separate from its robo-advisory service: Schwab Intelligent Portfolios. At first glance, the similar names may seem confusing but Intelligent Portfolios features valuable and extensive research in its Investing Insights section. Compared to other robo-advisors, Schwab stands alone in terms of the depth of research it makes available to clients, everything from quarterly reports to in-depth research articles. Schwab’s Goal Tracker invites clients to set timeline and goal objectives which are then monitored to provide progress reports to clients. It doesn’t compare with the benchmark leader in offering a holistic view of personal finances, Personal Capital, who provides an easy-to-use app that links bank, credit card and investment accounts much like Mint.com. Where Goal Tracker does offer tremendous value is in assessing what income is needed to meet lifestyle objectives in retirement and evaluating how withdrawal amounts affect future income projections. Retirees in particular will find this tool especially valuable. Schwab Intelligent Portfolios has no management fees, extensive research, broad asset classes and goal tracking software but portfolios incur a larger cash drag than those at rival firms. ✅ No Management Fees: Other than WiseBanyan and SoFi, which provides free portfolio management to borrowers, Schwab Intelligent Portfolios is one of the few robo-advisory services that charges no advisory fees. It quickly amassed billions under management, outpacing competitors as a result. ❌ Large Cash Holdings: Over time, performance of Schwab Intelligent Portfolios are at risk of underperforming those held at other robo-advisory firms which fully invest assets and hold lower cash positions. The cash holding doesn’t grow as other assets might but equally it acts to mitigate risk during turbulent times, which may lead conservative investors to prefer Schwab’s approach. ✅ Intelligent Insights Research: Schwab stands head and shoulders above competitors when it comes to the depth and comprehensiveness of research offerings it provides through its Intelligent Insights dedicated website that is available to Schwab Intelligent Portfolios clients. This is especially valuable to clients of robo-advisors who don’t have the option to speak with a human advisor. ❌ Limited Tax-Loss Harvesting: Many robo-advisors, such as Wealthfront, provide tax-loss harvesting services to clients of all levels but Schwab restricts their tax-loss harvesting feature to clients with $50,000 and above invested. ✅ Portfolio Control: Most robo-advisors select portfolio holdings autonomously but Schwab permits clients to modify portfolios by selecting as many as three exchange-traded funds of their choosing. ❌ Few Personal Finance Calculators: Many robo-advisors offer retirement calculators; Personal Finance’s Retirement Planner is the industry standard. Given its extensive resources, Schwab falls short of the mark relative to its peers when it comes to financial calculators with its Goal Tracker tool as the exception. ✅ Extensive Range of Asset Classes: With approximately 20 assets classes and over 50 ETFs, Schwab leverages its long history as a leading financial services provider to offer clients perhaps the most diversified portfolios in the robo-advisory industry. ✅ Goal Tracker: Schwab’s Goal Tracker evaluates how a client’s portfolio is tracking compared to timeline objectives. Numerous return scenarios are reported to identify whether a client is on target, off target or at risk of missing their goals. ✅ Mobile App: Schwab’s mobile app is about as good as it gets. Beyond basic information on portfolio value that is the extent of the mobile experience with most robo-advisors, Schwab provides access to Intelligent Insights research and goal tracking. Schwab Intelligent Portfolios account balance minimum is $5,000 and tax-loss harvesting is available on amounts over $50,000. Compared to rivals, Schwab’s zero management fees and no annual, transfer or closing fees offer a compelling value proposition. Schwab Intelligent Portfolios supports IRA, non-retirement, trust and custodial accounts. Rebalancing is available on all accounts, but automatic tax-loss harvesting is only available to accounts with $50,000 or more invested. Schwab Intelligent Portfolios very rapidly amassed billions under management because of its compelling value proposition: free portfolio management, extensive access to research and the most extensive range of asset classes among robo-advisory firms. Schwab’s account balance minimum of $5,000 is competitive though not as low as some firms, such as Wealthfront and Betterment. For the hands-off investor looking for an automated investing experience that allows for easy goal monitoring and some customization, Schwab is hard to beat. Plus, conservative investors will appreciate Schwab’s decision to allocate a higher chunk of assets to cash than most robo-advisors.